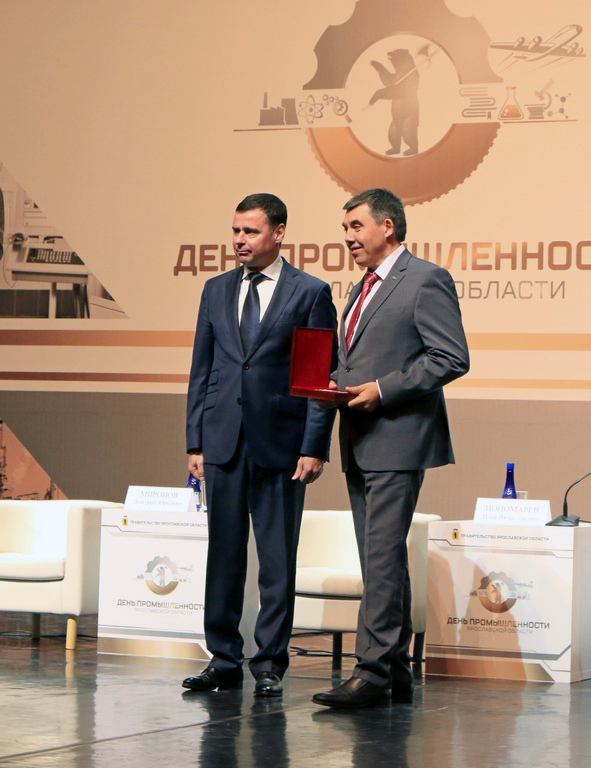 The “Best Industrial Enterprises in the Yaroslavl Region” contest was summed up. The Cultural and Social Centre was the venue of the ceremony of awarding the winners, which was timed to the regional Industry Day. Governor Dmitrii Mironov handed out the Certificates of Merit. JSC Russian Coatings was the winner in the “Chemical and Petrochemical Industry” nomination. The summing up was based on financial and economic performance data. The contest jury was composed of representatives from government authorities, public organisations and the business community. Reference information: JSC Russian Coatings is the biggest enterprise in the Russian paint and coatings industry, and it is among the TOP 100 major global manufacturers of paint and coatings products. In 2018, the enterprise celebrates its 180th anniversary. The wide range of products covers industrial and car refinish materials, coatings for passenger cars and commercial motor vehicles on a conveyer; coatings for aviation and ship-building; powder paints; paints and coatings for decorative, construction and repair purposes. The Integrated Management System was certified as per ISO 9001, ISO 14001, OHSAS 18001, and ISO/TS 16949. The Company has been recognised for quality as diploma winner and award winner by the Government of the Russian Federation.